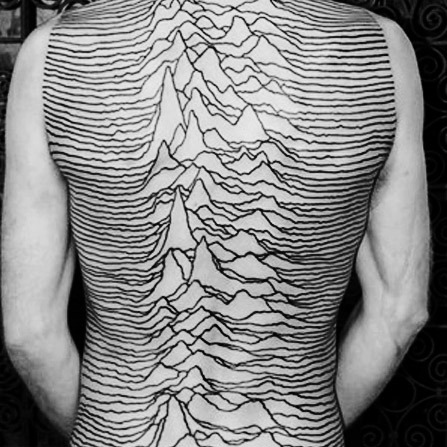 The track, believed to have been recorded during the ‘Unknown Pleasures’ sessions has surfaced online from an unknown source. ‘Aerial’, is believed to be only one of a number of discarded master tapes discovered by celebrity chef Jamie Oliver while excavating a former branch of Midlands Bank in Manchester for a new Restaurant. The song was only ever previously heard under the name ‘No Reception’ on bootlegs. The ominous track consists of a typical Peter Hook driven bass line, not to dissimilar to the Iggy & the Stooges song ‘I Wanna be your Dog’. Ian Curtis’s distinct and troubled vocals bellow out the lyrics ‘I plug my Aerial in’ for most of the song. via Joy Division unreleased track leaked – Music-News.com. If this song was actually a hoax, congratulations to the band who played it. Simply sounds like Joy Division more than any other song will ever get.